“Foreign policy is an explicitly amoral enterprise,” Samantha Power, 2003. On 10 August, the newly appointed US Ambassador to the United Nations, Samantha Power, addressed the Fourth Estate Leadership Summit, an event of Invisible Children. This was Ambassador Power’s first public address since she took her seat at the United Nations. Invisible Children is the campaign group that has been behind several iterations of the “Stop Kony” video, which went viral in 2012. Power praised the group for its “new kind of activism” whose “army of civilian activists” had pushed the Obama administration to tougher action against Joseph Kony, the head of the Lord’s Resistance Army (LRA), and whose example had helped Kenyans and Russians and most of all Arabs, who “barely knew democracy as recently as three years ago,” to use the Internet to hold governments accountable. Power is not naïve. She knows that the Internet is not sufficient, since it is simply “a means to an end. What matters is the real world scoreboard.” The “real world scoreboard” touts up the exertions of power by actors that Power sees as benign, such as the United States government. Internet activism can prod the US government to action, and when it does, then it is effective. World history can only happen when the US government’s snout pushes along the Dialectic; anything else is simply the passage of time. Power, one of the champions of the new law and an advocate of the Responsibility to Protect (R2P) doctrine for liberal interventionism, follows Susan Rice to the United Nations. Rice was equally adamant about the use of US-NATO force to enforce her perception of what counts as a human rights violation. During Rice’s tenure at the United Nations there was no use of the language of human rights and the R2P doctrine on behalf of the Palestinians (under occupation by the state of Israel), or the people of the Congo (under the yoke of neighbouring Rwanda through the M23 rebel group), or indeed of the people of Equatorial Guinea (whose ruthless president Obiang enjoyed a warm photo-op with the Obamas in 2012). US allies never felt the edge of Rice’s rhetoric, nor Obama’s sanctions. [Vijay Prashad, “The Agonies of Susan Rice: Gaza and the Negroponte Doctrine,” Jadaliyya, 15 November 2012] Dressed in sheep’s clothing, the ravenous wolves of the Global North defended their allies while they threatened their enemies. It didn’t help the latter that many of them are vicious and deserve to be caught and punished. But it did help the United States and its allies to concentrate the spotlight on them and allow their friends to sit in the shadows, smug in their impunity. It also allowed the United States and its allies to import armed forces into parts of the world (mainly Africa as it turns out) where it has interests to protect. Like so many post-colonial states, Uganda has not been able to settle its problems of political geography and political economy. A North-South divide in the country was exacerbated by British colonialism, which relied upon the South to provide it with recruits to the crucial King’s African Rifles and petty administrators for the region. When the South became the vanguard of the anti-colonial struggle, the British turned their recruitment efforts to the North, among the Acholi and West Nile groups, driving a wedge that endures. The South had been host to whatever economic development had been forged by colonialism, who brought in captive labor from the North. These fissures provided grist for the mill of post-colonial leaders such as Obote and Amin, both of whom used these divides to their venal ends. Yoweri Museveni’s National Resistance Army, rooted in the South, took on the Northern forces of Obote in the early 1980s that resulted in massacres of hundreds of thousands of people. Museveni came to power in 1986 through the National Resistance Movement, a thin veneer of difference from his army of previous years. It continues to rule Uganda, with Museveni crowned as one of the African Renaissance leaders by the Clinton administration. A defeated and demoralized North came together behind two millenarian cults, first that of Alice Auma Lakwena (Holy Spirit Mobile Force) in 1987 and then second after her downfall, that of her kinsman Joseph Kony in the 1990s. Kony’s LRA became a dangerous cult, kidnapping children, using violence to sow fear in Acholiland, and fighting a war against the Ugandan government without a defined political strategy. No political dialogue emerged during the 1990s or the early 2000s, as Museveni sought a military solution against the LRA and as Kony floundered through the haze of anarchic violence. In 2005, the International Criminal Court framed arrest warrants for Kony and four of his lieutenants, and the US government placed the LRA on its terror list. Not long after this, Kony’s LRA had been severely degraded and his remaining forces (not more than 200) fled to the Democratic Republic of the Congo, from where it is reported to have taken refuge in the Central African Republic. By 2012, the LRA was no longer the existential threat it was to Northern Uganda. It had become a criminal gang, poaching animals and stealing food, looking for survival rather than for political power. As the US State Department’s own Amanda Dory told Congress in April 2012, “The common assessment is that [Kony] has been significantly degraded and is in a survival and evasion mode at this point.” This sober assessment did not slow down the frenzy of the “Kony 2012” nor of the entry of US troops into the African continent. None of the grievances of the North that gave rise to Alice Auma or Kony have been settled. The fissures remain, even as Kony has been chased off. 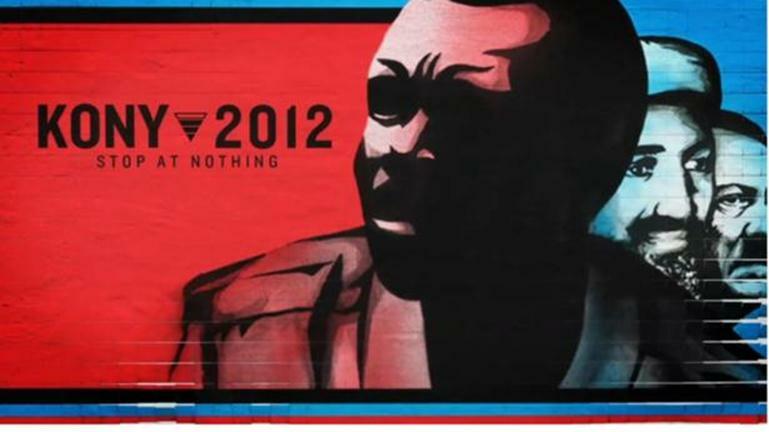 Invisible Children, which made the Kony 2012 video that Powers praised, has its roots in evangelical Christian politics. It came to Kony only after its foray into Darfur had floundered (on the way in which the Darfur issue suited both US and Israeli state interests, see Mahmood Mamdani, Saviors and Survivors: Darfur, Politics and the War on Terror, 2010). It sought an African mission to champion, an old colonial narrative of the white Christians who make their name by saving the black Africans. Their view of the conflict is simplified to the point of a cartoon: the more they demonize Kony, the more Museveni’s own dictatorial rule is minimized, and the more they validate the entry of US armed forces into the region (Obama sent one hundred military advisors to Uganda in 2010). Obama’s administration sinks in the quicksand of its liberal ambitions –few of its liberal foreign policy objectives have been met; not the closing down of Guantanamo’s prison, nor the tethering of an out-of-control surveillance apparatus, nor even the War on Terror in general. In fact, Obama has intensified the drone warfare in Yemen and Pakistan, and tethered itself to a resurgent Saudi Arabia on the back of Qatari withdrawal. To polish its carapace, the Obama administration has become a latter-day believer in gay rights on the world stage. Power went on Jay Leno’s program to talk about global LGBT rights and held a Google hangout with human rights activists where the issue of LGBT rights was center-stage (later, on twitter, Power mourned the loss of “Eric Ohena Lembembe, a courageous Cameroonian activist tortured to death last month”). But, to stay on the Uganda story, Power did not raise the issue of LGBT rights and Uganda. In 2011, gay activist David Kato Kisule was murdered in Mukono, Uganda. Kato had been a leader in the struggle for gay rights in Uganda. Invisible Children’s financial links to the Discovery Institute complicates matters for Powers’ liberal interventionism–Discovery’s head Lou Engle was in Kampala, Uganda in May 2010 heading up an anti-gay rally in support of an anti-gay bill that has been championed by President Museveni. Ambassador Power’s claim to move a pro-LGBT agenda at the UN is at odds with her choosing to give her first speech at a forum that shares much with the anti-gay agenda of the Discovery Institute and Ugandan President Museveni. She did not make any remarks about this at her speech at the Fourth Estate Summit. In fact, Power did not raise the issue of LGBT rights at that Los Angeles gala. This is standard issue “pinkwashing,” a cavalier use of a real campaign to re-brand the sinking ship of US soft power. Invisible Children’s “Kony 2012” helped shore up a new trend in US policy, to seek military solutions where much more complex policy options need to be considered. Forging military partnerships with Museveni’s Uganda will not help the people of the North, whose main issue is loss of land to investors, and loss of livelihood over the course of two generations. Nor will it solve the problems of a nascent people’s movement, which is being stamped down by the anti-protest Public Order Management Bill (passed by parliament on 6 August). Opposition leader Nandala Mafabi called this bill unconstitutional, but where will be the room to legally dispute it on the streets? None of this detained the human rights apparatus created by Rice and Power, and sanctified by Obama. Their human rights agenda is driven not by popular protests on the streets but by the cordite from an F-16. “What matters,” said Ambassador Power at the Invisible Children gala, “are results – everything else is just noise.” But what matters are well is ideology and power – who gets to define what is a crisis and who gets to frame the actions necessary to solve the crisis? In 2005, through US pressure, the United Nations adopted the Responsibility to Protect (R2P) doctrine. One of its champions was Samantha Power. The R2P doctrine holds that a state has the legal responsibility to protect is people, and if this state fails to do so the international community must involve itself with “coercive measures” such as economic sanctions but with military intervention as “the last resort.” In other words, the R2P doctrine is endowed with the ability to conscript Chapter VII of the UN Charter, which forces the United Nations to use military force. But, as has become obvious over the past few decades, the idea of the “international community” is not as global as it seems–that term has come to reflect the views of the North Atlantic countries, whose military hegemony through the US armed forces and its tentacular base structure as well as NATO gives them the ultimate veto over the narrative of world affairs. What matters, then, is not suffering in general, but the suffering deemed by the North Atlantic states to be against their interests, to whose defence the bombers are set loose. Last year, India’s former Ambassador to the United Nations, Hardeep Singh Puri, offered a robust criticism of the R2P doctrine from this general standpoint. Puri pointed out that the United Nations used the doctrine “selectively,” and when the United Nations selects a conflict for intervention, the armed phase is immediate rather than “calibrated and gradual”. The selectivity is a function of those who continue to exercise their power through the UN bodies, which is to say that the North Atlantic states set the agenda for the use of the R2P doctrine. Puri’s criticisms come in the wake of the Libyan intervention, which Obama, Rice, and Power use as the standard for the use of R2P. However, many powers, including the BRICS states, are wary of that usage. They argue that the United States misled the Council and then misused the UN Resolution 1973, a feint that forced UN Secretary General Ban Ki-moon to publically defend the NATO action in December 2011. It is because of the way the R2P was used in Libya that it the BRICS states have indicated that they will not allow such an open-ended R2P resolution, including for Syria. Power comes to the United Nations stepping over the rubble of R2P. Tactically, it is smart of Power to go to Invisible Children, to pose as a grassroots activist who is going to be pushed by the people and be the people’s champion in the Security Council. It will shine Power’s reputation a bit, but not much. With the Bush administration walking away from the ICC and shredding the Kyoto agreement, Power wrote, “The United States [has come] to be seen less as it sees itself (the cop protecting the world from rogue nations) than as the very runaway state international law needs to contain.” In the Obama administration, Power did nothing to contain the “runaway state,” indeed she helped secure inside the United Nations a “law,” R2P, that gives the United States permission to be unrestrained. That is the Konyism of Samantha Power.